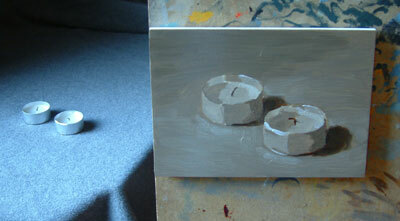 This is probably my favourite from this little run of tonal still lifes. It’s a very simple subject,I remember thinking as I set it up that it was perhaps too simple, but onceI started painting, started really looking at the tones and the complexity of the quality ofthe edges, I realised that it could be as complicated or as simple as I wanted to make it. These tea lights only being an inch or so across, I didn’t work sight size for a change. 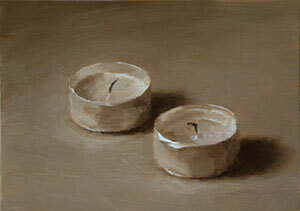 GenerallyI paint things the size I see them, and when I drew these two tea lights a few weeks ago I ended upwith a drawing about two inches across. That wouldn’t leave much room for the brushes to dotheir thing, so this one had to painted larger than life. Following on from thecoffee pot study, this onewas done using exactly the same approach. The first hour or so was spent laying out my paintson the palette, mixing up my tonal steps ready and getting the consistency of the painthow I wanted it, then laying out the drawing stage in as simple a manner as possible. I do thedrawing out with a round kolinsky sable and raw umber thinned right down with turps, this puddle I keep atthe bottom left of the palette, out of the way where it won’t run into the other colours I’ve set upready. Speaking of the palette, here’s a picture of how I set things up now for these paintings. SinceI’m trying as far as I can to reduce the painting, in the initial stages, to simple tonal blocks, I’vestarted mixing up a few steps of tones between my dark (raw umber) and my light (flake white). They’re a littlehard to see in this picture because of the old paint on the palette, I really must get round to paintingthe palette flat grey one of these days, but hopefully you can see what I’m doing. 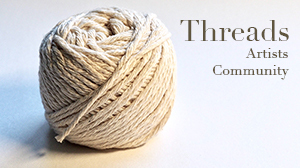 This has real advantages when it comes to judging relative tone in the painting. For the table top,(actually a grey cloth on the table top) I can see that I want a tone somewhere in between the lighterplane of the side of the tea lights and the darker plane in shadow. So all I have to do is pick a colourI already have mixed up between the colours I’ve used for those two planes, and I know I’ll be somewherenear. It saves a lot of time. The flake white comes out of the tube very stiff, so I mix itup at the start with a 50/50 mix of turps and linseed oil to get it to the consistency I want to paint with,loose enough to flow but stiff enough to cover the panel opaquely. 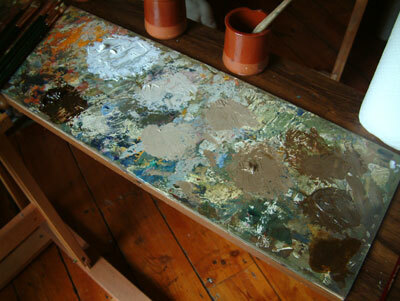 I do the same with the raw umber, but it’smuch looser to start with so needs very little of the medium to thin it down. Here’s the painting at the initial stages, with just the main tone blocks laid in. At this stage, I doa fair amount of tweaking of the relative tones, trying to get the strongest feeling of the light andthe solidity of the objects before moving on to the edges. Getting the right quality to the edges is key togetting the forms to live, I’ve found. Harold Speed taught me that. Once the main tonal blocks are right,and the edges have been done, there’s little to do the finish the painting apart from some softening of thetonal transitions in places and a bit of detail. These last details, like the highlight of the bent-intop edge of the tea light at the front, can be done in confident sweeps because the foundation of thepainting is already laid in correctly. These finishing touches take almost no time, but are the parts which make apainting live, and are also the most fun to do. But it’s important to get them right first go, because thatallows you retain the freshness of the paint. Nothing kills a painting, in my opinion, like overworked paint.This highlight was dragged in quickly with a brush heavily loaded with pure flake white, then the edges andshape worked a little more carefully, cutting into the highlight with the surrounding tone. Doing it thisway allowed the highlight to keep it’s purity and it’s freshness. But touches like this must be left till the end. If they go in too early, finished as you want them tolook, the brushes have no room to manoeuvre when the main tones and edges are being established, resultingin fiddly, bitty painting. If left to the end, they can be done with daring and dash, and if they go wrong,they can be easily painted out and done again.